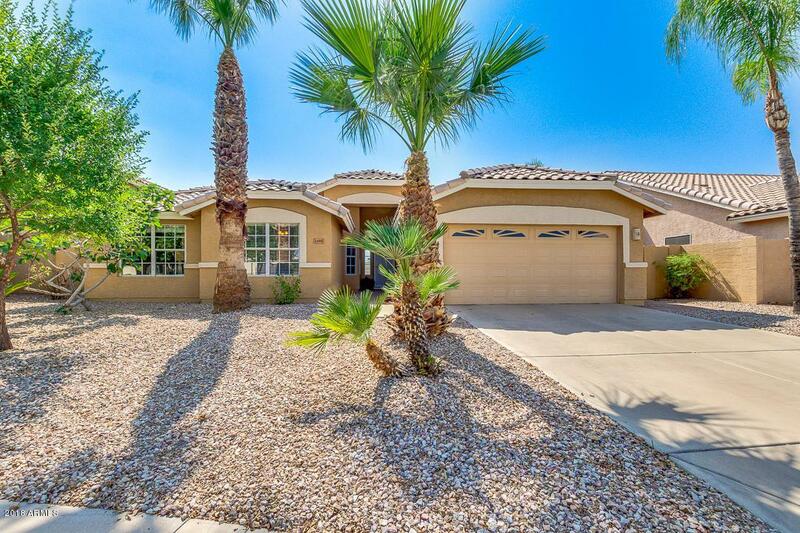 MOVE IN READY Gilbert home! 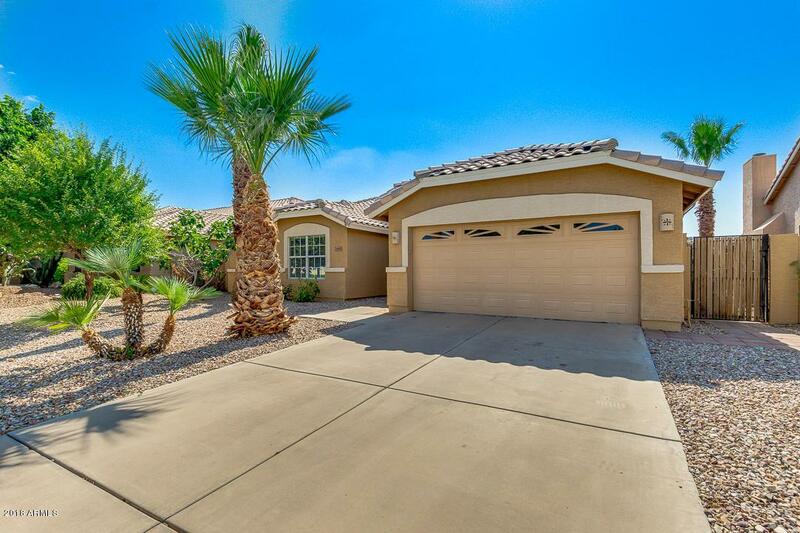 This 3 bedroom 2 bath home features airy and open floorplan with vaulted ceilings. Walk into the tiled entryway and enjoy the views of the pool through the large picture windows in the formal living/dining room (game room). 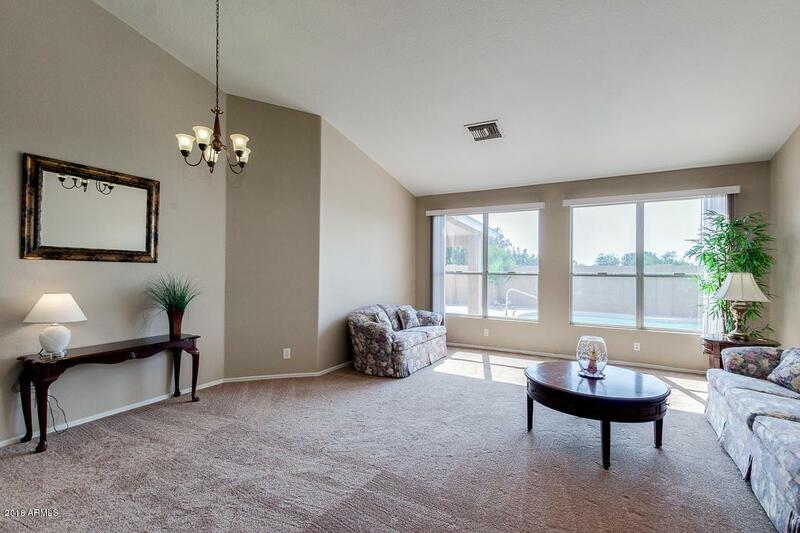 Pass the office/den area and enter into the spacious kitchen with granite countertops and stainless steel appliances. The family room is very roomy with a lots of natural light and a slider exiting to the covered patio and sparkling pool. The 2 bedrooms are at the front on the house with new carpet and plenty of closet space. The master suite is separated on the other side of the home. It has vaulted ceilings and views of the pool! The master bathroom features plenty of counterspace with 2 sinks, a soaker tub and shower.The walk in closet is very spacious. As you head outside, there is no grass to cut, just beautiful flowers and palms. Enjoy the park and greenbelt one house down, and the private backyard with no homes behind you! Check it out today before it's gone.